It’s a cute small restaurant with great flavored food! The potato’s are fantastic! The house salad has this amazing dill dressing! The chai (made in house) was wonderful!!! I would definitely eat here again if ever back in the area! 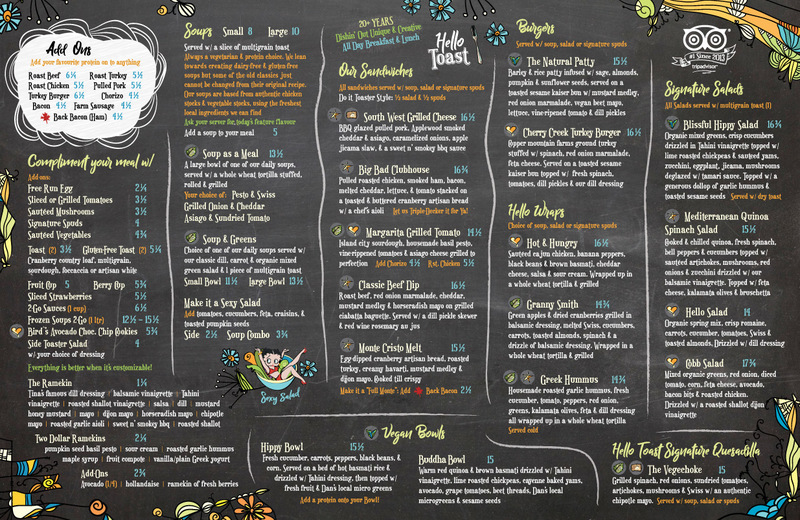 Love that I can order my fave vegetarian eats & my hubby can order bacon & eggs…something for everyone! I always try a soup because there hasn’t been one I haven’t loved! They also have giant homemade cookies at the til that are soooo delish. I get the gluten free but both are awesome! Definitely go here if you haven’t been before. Well worth it! Great service, great food, hearty portions! Delicious cappuccino:) This place opens at 8 and is full almost immediately, so get there early! Great food. Great service. Be advised. Its always busy but worth the wait! Heading back from Vancouver, stopped in for breakfast – chose the most highly rated place in Kamloops. It certainly earned this reputation. Really pleasant venue, shady patio, open airy restaurant. Great menu of artisanal cuisine, expert hands in this kitchen. Coeliac? Vegan? No problem…. Very tasty food. Wonderful genuinely friendly staff and efficient service. If you are looking for a great breakfast in Kamloops, this is the place for you. Heading out of town very satisfied. 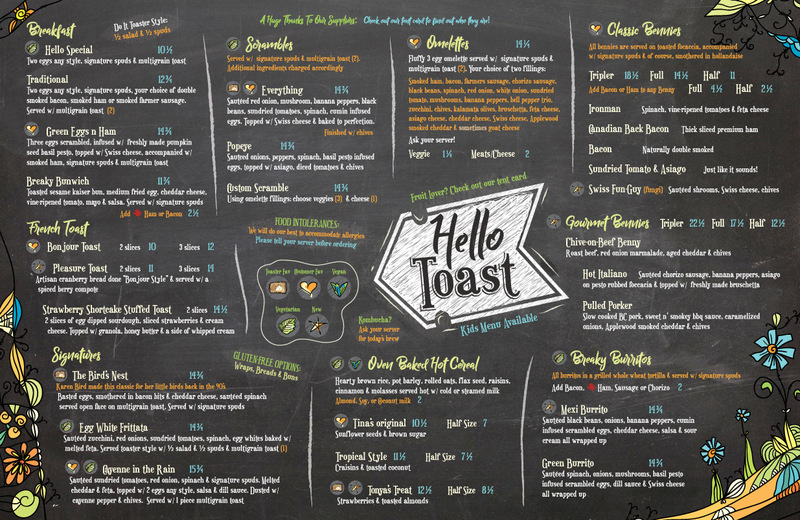 Thank you to “Hello Toast”. What a wonderful place for breakfast. Couldn’t think of a better place to eat in town. Highly recommend the Italian Benny – simply superb!! Great service, amazing food. Highly recommend for breakfast and Lunch!! !